Royal Canin Chihuahua Adult Dog Food contains an exclusive formulation of a section of carefully chosen natural flavours to satisfy both the appetite and nubritional needs of your Chihuahua. Kibbles are in presice shape and size specially for Chihuahua's small jaw, and supports dental health with calcium chelators to help reduce tartar formation. Complete dog feed for denal health, stool and odour reduction whilst satisfying appetite with biscuit of precise shape and size. 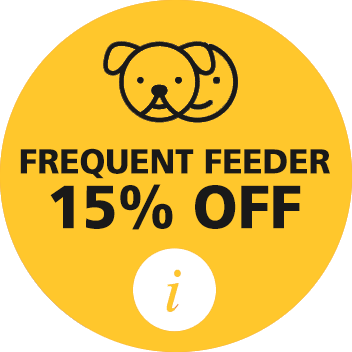 Complete feed specially designed for adult and mature Chihuahuas over 6 months. rice, maize, dehydrated poultry protein, vegetable protein isolate*, animal fats, hydrolysed animal proteins, beet pulp, vegetable fibres, minerals, fish oil, soya oil, fructo-oligo-saccharides, borage oil, marigold extract (source of lutein), green tea and grape extracts (source of polyphenols), hydrolysed crustaceans (source of glucosamine), hydrolysed cartilage (source of chondroitin). ADDITIVES (per kg): Nutritional additives: Vitamin A: 30200 IU, Vitamin D3: 800 IU, E1 (Iron): 49 mg, E2 (Iodine): 4.9 mg, E4 (Copper): 9 mg, E5 (Manganese): 64 mg, E6 (Zinc): 192 mg, E8 (Selenium): 0.11 mg - Technological additives: Pentasodium triphosphate: 3.5 g - Preservatives - Antioxidants. ANALYTICAL CONSTITUENTS: Protein: 28% - Fat content: 16% - Crude ash: 5% - Crude fibres: 2.1%. *L.I.P. : protein selected for its very high assimilation. Ricki says... My chihuahua loves this dry food. The bag lasts ages and the super small kibble size is perfect. It is a lot less smelly than cheap dry dog food. Its great value considering how long this bag lasts. ROYAL CANIN® diets provide precise nutrition tailored to your dog. Each of our products is based on our extensive knowledge of dogs, gained through over 50 years of scientific research and partnerships with leading veterinarians, universities and breeders across the world. We pride ourselves on putting dogs first in everything we do – Meaning we will never compromise the superior quality of our products if it’s not for the benefit of your dog’s health. Formulating the best pet food in the world is no simple task - Each of our dog food formulas are made up of over 40 nutrients for dogs of different sizes, ages, breeds, lifestyles and with specific needs. ROYAL CANIN® is the leader in kibble technology. We take the size, shape, texture and density into consideration when developing our kibble and tailor it to the specific characteristics of the dog for which it is intended. Kibble impacts dental health, digestion, satisfaction and palatability. ROYAL CANIN® sets the benchmark for palatability. We are so confident our products are appealing to even the fussiest dogs, ROYAL CANIN® offer a 100% money back guarantee* if your dog doesn’t take to the diet. Nutrients are what fuels your dog and keeps them looking, feeling and functioning at their best. ROYAL CANIN® understand what is needed for your dog to thrive and be at their optimal health. High quality ingredients are ones that are easily digested and absorbed by your dog. ROYAL CANIN® select only the best ingredients based on their nutritional profile to deliver a complete and balanced diet that is tailored to the unique needs of your dog. We understand you only want the best for your dog. ROYAL CANIN® is exemplary in quality and food safety. We deliver on all of our commitments, ensuring the utmost satisfaction for pets and their owners. At ROYAL CANIN®, we implement the strictest selection of raw materials and traceability controls, to guarantee the highest possible quality and food safety of our products. ROYAL CANIN® is proud to support our local community as much as possible. We partner with a number of not-for-profit organisations including Seeing Eye Dogs, Search and Rescue Dogs Australia, Animal Management in Rural and Remote Indigenous Communities and a number of dog and cat community groups across Australia.